On November 1, 1987, American author James Fallows published an article in the Atlantic Monthly titled, “A Damaged Culture: A New Philippines?”, which created quite a stir, considering that at the time, Filipinos were occupied clearing the debris that Marcos had left behind. –The Marcoses (Imelda Marcos and kids), who were banished in 1986, have been voted into power, short of capturing Malacanang Palace. 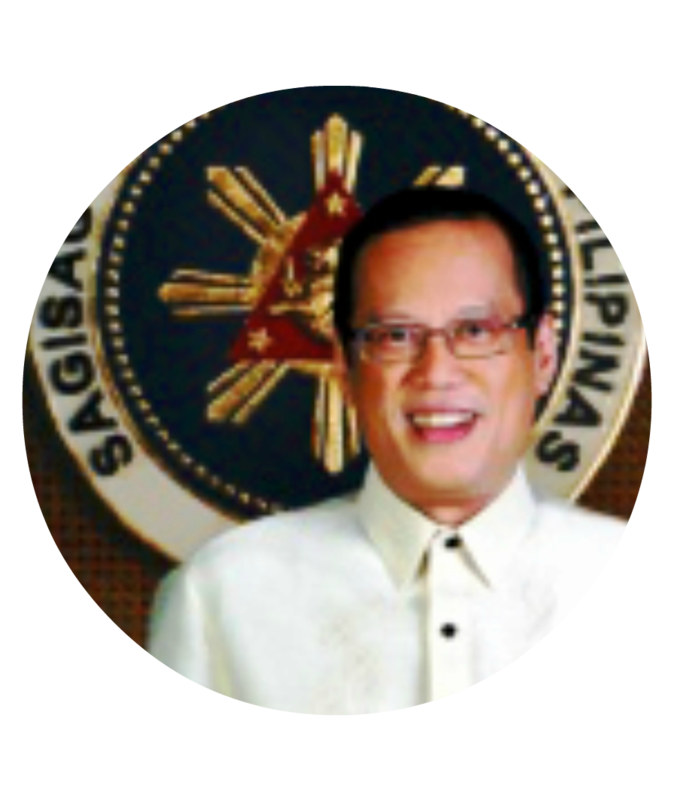 –The subsequent leaders after President Corazon Aquino, were themselves thieves, with the exception of the current palace occupant, President Noynoy Aquino. –The Supreme Court of the Philippines, as currently constituted, has its share of corruption shenanigans and is more defined as a power tripping cabal..
–The current catch word of “bobotante”, referring to the mass of voters that sell their votes for a pittance, thus explaining the prevalence of ignoramuses in government. While it is noteworthy that under President Noynoy Aquino, the Philippines has become an economic tiger of sorts, the danger lurks that when the President finishes his term in 2016, things will revert to ours being a damaged culture in the strictest sense. “The countries that surround the Philippines have become the world’s most famous showcases for the impact of culture on economic development. Japan, Korea, Taiwan, Hong Kong, Singapore–all are short on natural resources, but all (as their officials never stop telling you) have clawed their way up through hard study and hard work. Unfortunately for its people, the Philippines illustrates the contrary: that culture can make a naturally rich country poor. There may be more miserable places to live in East Asia– Vietnam, Cambodia–but there are few others where the CULTURE (emphasis supplied) itself, rather than a communist political system, is the main barrier to development. The culture in question is Filipino, but it has been heavily shaped by nearly a hundred years of the “Fil-Am relationship.’ The result is apparently the only non-communist society in East Asia in which the average living standard is going down. “I don’t pretend that my view of the Philippines is authoritative, but I’ve never before been in a country where my initial impressions were so totally at odds with the standard, comforting, let’s-all-pull-together view. It seems to me that the prospects for the Philippines are about as dismal as those for, say, South Korea are bright. In each case the basic explanation seems to be culture: in the one case a culture that brings out the productive best in the Koreans (or the Japanese, or now even the Thais), and in the other a culture that pulls many Filipinos toward their most self-destructive, self-defeating worst. “AM I SHOOTING FISH IN A BARREL? SURE–YOU COULD work up an even starker contrast between Park Avenue and the South Bronx. But that would mean only that the United States and the Philippines share a problem, not that extremes of wealth and poverty are no problem at all. In New York and a few other places the extremes are so visible as to make many Americans uneasy about the every-man-for-himself principle on which our society is based. But while the South Bronix is an American problem, few people would think of it as typical of America. In the Philippines the contrasting extremes are, and have been, the norm. “What has created a society in which people feel fortunate to live in a garbage dump because the money is so good? Where some people shoo flies away from others for 300 pesos, or $ 15, a month? It can’t be any inherent defect in the people: outside this culture they thrive. Filipino immigrants to the United States are more successful than immigrants from many other countries. Filipino contract laborers, working for Japanese and Korean construction companies, built many of the hotels, ports, and pipelines in the Middle East. “These are the same people who shined under the Japanese managers,’ Blas Ople, a veteran politician, told me. “But when they work for Filipino contractors, the schedule lags.’ It seems unlikely that the problem is capitalism itself, even though Philippine Marxists argue endlessly that it grinds up the poor to feed the rich. If capitalism were the cause of Philippine underdevelopment, why would its record be so different everywhere else in the region? In Japan, Korea, Singapore, and elsewhere Asian-style capitalism has not only led to trade surpluses but also created Asia’s first real middle class. Chinese economists can’t call what they’re doing capitalism, but they can go on for hours about how “market reforms’ will lead to a better life for most people. “If the problem in the Philippines does not lie in the people themselves or, it would seem, in their choice between capitalism and socialism, what is the problem? I think it is cultural, and that it should be thought of as a failure of NATIONALISM. “Individual Filipinos are at least as brave, kind, and noble-spirited as individual Japanese, but their culture draws the boundaries of decent treatment much more narrowly. Filipinos pride themselves on their lifelong loyalty to family, schoolmates, compadres, members of the same tribe, residents of the same barangay. The mutual tenderness among the people of Smoky Mountain is enough to break your heart. But when observing Filipino friendships I thought often of the Mafia families portrayed in The Godfather: total devotion to those within the circle, total war on those outside. Because the boundaries of decedent treatment are limited to the family or tribe, they exclude at least 90 percent of the people in the country. And because of this fragmentation–this lack of nationalism–people treat each other worse in the Philippines than in any other Asian country I have seen. “In the first-class dining room aboard the steamer to Cebu, a Filipino at the table next to mine picked through his plate of fish. Whenever he found a piece he didn’t like, he pushed it off the edge of his plate, onto the floor. One case of bad manners? Maybe, but I’ve never seen its like in any other country. Outsiders feel they have understood something small but significant about Japan’s success when they watch a bar man carefully wipe the condensation off a bottle of beer and twirl it on the table until the label faces the customer exactly. I felt I had a glimpse into the failures of the Philippines when I saw prosperous-looking matrons buying cakes and donuts in a bakery, eating them in a department store, and dropping the box and wrappers around them as they shopped. “IT’S EASY TO OBSERVE THAT JAPAN’S HABITS ARE MORE useful economically than those of the Philippines, but it’s harder to figure out exactly where the destructive habits come from. The four hundred years that the Philippines spent under Spain’s thumb obviously left a lasting imprint: at first glance the country seems to have much more in common with Mexico than with any other place in Asia. The Spanish hammered home the idea of Filipino racial inferiority, discourging the native indios from learning the Spanish language and refusing to consecrate them as priests. (The Spanish are also said to have forbidden the natives to wear tucked-in shirts, which is why the national shirt, the barong tagalog, is now worn untucked, in a rare flash of national pride.) As in Latin America, the Spanish friars taught that religion was a matter of submission to doctrine and authority, rather than of independent thought or gentleness to strangers in daily life. And the Spanish rulers set the stage for the country’s economic problems in the twentieth century, by giving out huge haciendas to royal favorites and consigning others to work as serfs. As in Latin America, the Spanish thereby implanted the idea that “success’ meant landed, idle (that is, non-entrepreneurial or commercial) wealth. The mainly Malay culture with which the Spanish interacted was different from the Aztec and other Indian cultures in Latin America; for instance, societies throughout the Malay regions (including what are now Indonesia and Malaysia) are usually described as being deferential to their leaders, passive rather than rebellious. Perhaps for this reason the Philippines has not overthrown its clergy or its landed elite in the twentieth century, the way most Latin American countries have tried to do. “In its brief fling with running a colony, America undeniably brought some material benefits to the Philippines: schools, hospitals, laws, and courts. Many older Filipinos still speak with fondness about the orderly old colonial days. But American rule seemed only to intensify the Filipino sense of dependence. The United States quickly earned or bought the loyalty of the ilustrados, the educated upper class, making them into what we would call collaborationists if the Germans or Japanese had received their favors. It rammed through a number of laws insisting on free “competition’ between American and Philippine industries, at a time when Philippine industries were in no position to compete with anyone. The countries that have most successfully rebuilt their economies, including Japan and Korea, went through extremely protectionist infant-industry phases, with America’s blessing; the United States never permitted the Philippines such a period. The Japanese and Koreans now believe they can take on anybody; the confidence of Filipino industrialists seems to have been permanently destroyed. “In deeper and more pernicious ways Filipinos seem to have absorbed the idea that America is the center and they are the periphery. Much local advertising plays to the idea that if it’s American, it’s better. “It’s got that stateside caste!’ one grinning blonde model says in a whiskey ad. An ad for Ban deodorant warns, “Hold It! Is your deodorant making your skin dark?’ The most glamorous figures on TV shows are generally light-skinned and sound as if they grew up in Los Angeles. I spoke with a black American who said that the yearning toward “white’ culture resembled what he remembered about the black bourgeoisie of the 1950s. College or graduate education in America is a mark of social distinction for Filipinos, as it is for many other Asians. But while U.S.-trained Taiwanese and Korean technocrats return to improve factories and run government ministries, many Filipinos seem to consider the experience a purely social achievement, a trip to finishing school. So what is the genesis of this damaged culture that we have? According to Fallows. Filipinos, by and large, have no nationalism or love of country. The subtexts are that our feeling of inferiority stems from the Spanish and American colonial overlords, and that our pronounced tribalism is the root of corruption, the selling of votes, the thievery in government. Despite the aforementioned blocks, the Philippines has grown by leaps and bounds under President Noynoy Aquino. It seems that the President’s influence is the glue that holds the damaged culture fabric together. However, with the President’s end of term in 2016, the deluge will surely come, if his replacement has feet of clay. Would that there is a term extension for President Aquino.